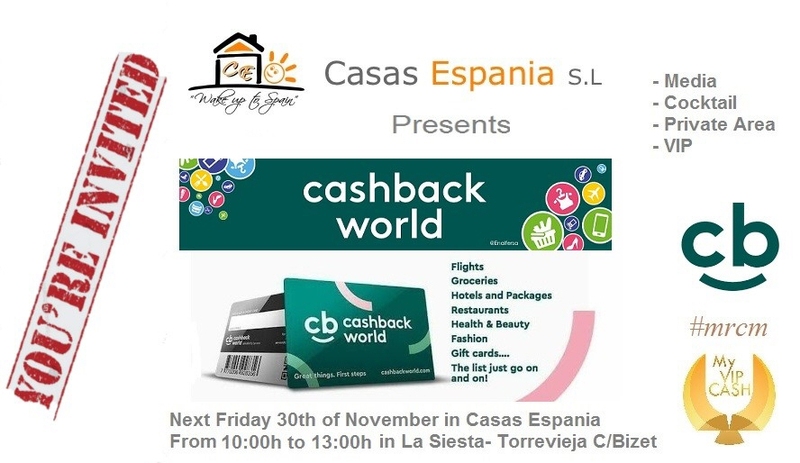 This month Casas Espania have been one of the latest brands to act as an introducer and Loyalty Merchant for Cashback World. Cashback World is a system that can help you save money on purchases AND get cashback from selected royalty merchants worldwide. This can be something as "mundane" as changing electricity supplier- both here in Spain AND in your native country. Some operators for flights also participate, as well as top brands and high street stores- Worldwide! Want more information? Casas Espania are having a presentation at their head office in La Siesta, Torrevieja on Friday 30th November between 10am and 1pm- bring an electricity bill so the team can advise you how much you could save!